Airtel Free Internet Tricks Is 100% Working In All Over India. And Every Airtel Free Internet User Will Know That Using Of Free Internet By OpenVPN Tricks Is Very Interesting Because In This Tricks You Can Access Free Internet, Use Any App And You Can Feel The Experience Of Real/Original Internet That You Use After Recharge Of Internet Data Pack. OpenVPN Trick Is Very Popular For Access The Free Internet And You Can Use It To Many Methods.So Today We Are Making It Easier By This Trick. In This Post We Are Sharing and Introducing A New Method/Trick of Free Internet for Airtel Users. 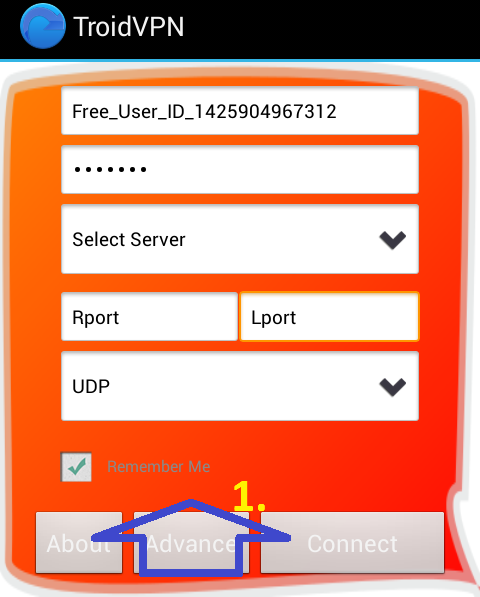 In This Trick You Can Use/Access All The Internet Required Apps On Your Android Mobile With (0) Zero Balance. 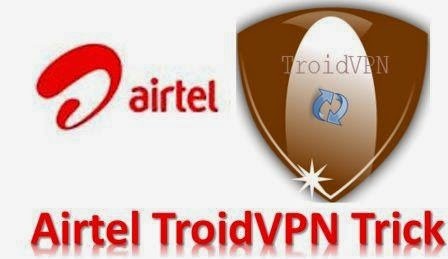 This Airtel Free Internet Trick Is Based On "TroidVPN" Android VPN Client App. TroidVPN Is One Of The Best VPN For Surfing Free Internet In Android Mobiles. In This Trick You Need Not To Download Any Config Files. This Trick Works Same As DroidVPN But TroidVPN Trick Is Much Better Than DroidVPN Trick Because In This Trick You Can Access Free Internet Without Disconnection Problem. And Also You Don’t Need to Sign up An Account in TroidVPN. 1. Use Only With Zero Balance/Maintain Main Balance Rs.0 Zero (To Avoid Balance Deduction). 3. 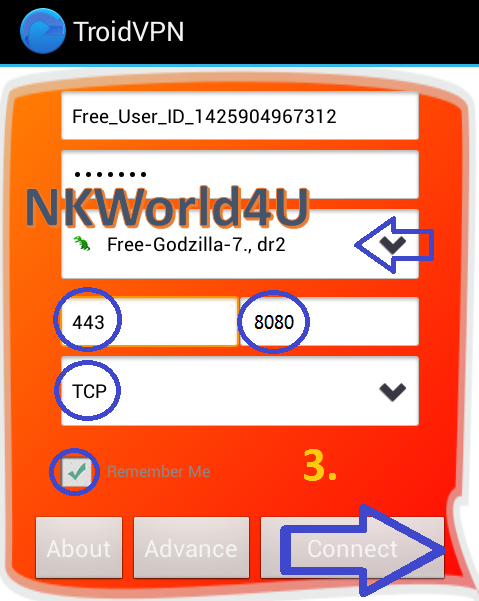 You Can Use This Trick Only With TroidVPN Android App and All the Below Settings Will Be Do In TroidVPN App. 4. This Trick Only For Airtel Users or Only Work with Airtel SIM. 5. Use Default Internet Setting Of Airtel (Airtel Internet). Don’t Use Any Proxy In APN Settings. 6. This Trick Only Work With TCP Port 443. So If TCP 443 Port Is Open In Your State You Can Easily Access Free Internet By Airtel. 7. You Can Also Use UDP Trick with TroidVPN If Any UDP Port Is Open In Your State. 8. Free Users Limit To Use 100 MB Daily. With Unlimited High-Speed. No Speed Capping No Registration Required. 2. after Download. Install And Open It. How to Proceed the Setup on Your Android. 4. Now in the Next Screen - Check Mark on >> Use Proxy for TCP Connection. 6. Now Click On >> “Save” And Come Back. After Successfully Connected. Enjoy Free Internet. You Can Use Any App. Free Users/ Free VPN Server Are Limited to Use Only > Daily 100 MB Test Data. have u any trick how it will increase????? try with 3G Network, speed in 3G Around 100-150 kbps or Try Opera mini or proxy trick. No Matter, What proxy I use it always gives an error. I visited above site given by you but It doesn't show proxies for India so I tried proxies from hidemyass.com. What do I do? I tried your droidvpn trick and it connects successfully but still charge from my account balance. Pls Pls Pls help me. All those updated proxies do not work well. pls help me 😢😢😢. hi friend we have already mentioned use any trick only on 0 balance. so why you are using with balance. in this trick you can also use any other countries proxy. not require indian proxy. change proxy from here. and please note proxy is changing daily. so keep update daily. we will share soon. currently try these settings. Rport - 42900 Lport - 0 Select - UDP Advance setting - no change. Bhai phele din to sahi chala phir dusre din 50 mb ke bad band ho gaya aur meri sim bhi block ho gayi. yes of course! try it. Plz tell me how to use troid vpn for idea user in up east..
Bro it's not working in faridabad, haryana, India. hi amit thanks you very much buddy. enjoy and share to friends. bas above steps follow kare. proxy jarur change kare. please wait few days (10-15 days) whenever sim blocked. Can u please provide new trick ! !